Pathway to help: My colleagues on the board of supervisors recently joined me in taking a big step to help dementia-stricken seniors in crisis. We voted to create a pilot program to steer seniors with Alzheimer’s disease and other forms of dementia to the appropriate services and programs during an emergency. Newly formed crisis response teams will lead the initiative, which is due to start next year in Santee and Lakeside. If it goes well, I’m hoping we can expand the program throughout the region. Special thanks to the San Diego County Sheriff’s Department, Alzheimer’s San Diego, Sharp Grossmont Hospital and the Grossmont Healthcare District for teaming up with me on this. Seniors with dementia need to a clear path to help. SDG&E rejected: State regulators did the right thing by recently rejecting SDG&E’s bid to bill its ratepayers for $379 million in costs tied to our region’s 2007 firestorms. The utility’s request was outrageous and an insult to all those affected by the disaster. Folks died in these fires and many lost their homes. The rejection by the state Public Utilities Commission does not change any of that, but brings some justice against a company that has long cared more about shareholder profits than public safety. New engine house: A new fire station is coming to the wildfire-prone backcountry. Construction is starting on a 13,900-square-foot county facility in the heart of Pine Valley. It will be nearly twice of the size of the community’s existing engine house and is expected to be completed in late 2018. —Dianne Jacob is San Diego County Supervisor for District 2. For more District 2 news, go to diannejacob.com or follow her on Facebook and Twitter. 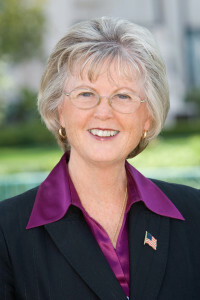 For assistance with a county issue, call her office at 619-531-5522 or email dianne.jacob@sdcounty.ca.gov.